For the more experienced dance game players, the soft foam pad that comes with the console games is not enough. And sometimes the getting to the arcade with their favorite dance game is too much of a journey. 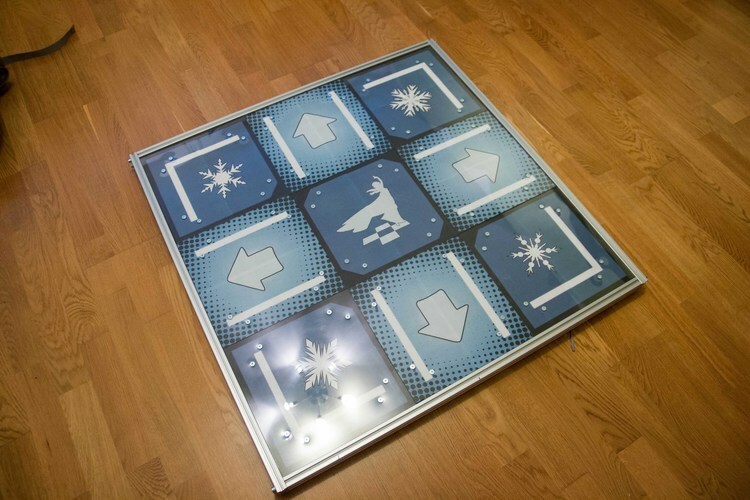 With Cobalt Flux being out of the picture and with quality metal dance pads becoming harder to find, some of the most dedicated players take it upon themselves to create a dance pad just for them. That’s exactly what Gal Pavlin did. With his engineering knowledge and resources, he created his very own metal dance pad using load cell sensors as opposed to the more common contact foil found in commercial dance pads. Get a sneak peek with an excerpt of his post below. Computer render of the dance pad. Click here to check out the rest of the post on how Gal constructed his dance pad, including downloads for the 3D models and design files, materials used, wiring diagrams and more!